Given monthly members, good retention, profitable premium products, and alternative revenue streams, how do you keep track of it all? The alternative revenue streams are those oddball types of income that can get lost in the mix if you don’t have an adequate system for recording revenue and membership status. The solution is a combination of a point of sale system and a gym management software package that integrates information in a way that works best for the gym business. 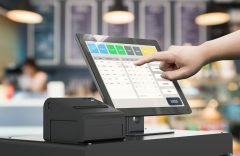 Electronic Point of Sale or EPOS has been the standard for cash registers for decades now. With the latest systems, you can integrate transaction data directly into your gym management software. You can take advantage of online platforms for selling products and services too. Being in business means that you do everything you can to maximize your flow of income. You have to hustle to survive, particularly in such a competitive consumer industry as fitness, which is why you have to get creative. Successful gyms offer premium services and supplemental high-margin merchandise at the front desk. Look into what branded merchandise and convenience items that members need during a workout; you might find a house payment in the higher profits these add-ons can generate. Don’t forget to get out on the digital frontier and merge in-club sales with mobile technology too. Most if not all of your members have a smartphone with them in the gym now. E-commerce can help you pick up even more merchandise sales from those buyers who love to order online, even if it’s from the treadmill by the front desk. Drive traffic by promoting this new in-club pick-up service with signs placed around your space. You can provide a pickup point by hosting Amazon lockers, so members can order and pick up next time they visit the club. It helps to think of your revenue streams as a subset of your marketing channels; they’re your sales channels if you will. This merging of your club space and its digital presence is what multichannel marketing is all about. When you integrate your revenue streams, communication channels, and administration features into one management system, you can give members a great service experience and earn more income from every relationship. Taking control of all of your income streams is perhaps the most important thing you can do to increase your income. Whether it’s memberships, premium services, merchandise, or some other ancillary cash flow for your fitness business, you need to know where it is to control it. The more you can include in a single system of accounting, the less hassle it’ll be to keep track. It’s surprising what you discover when you track your income and expenses accurately. You will find the sources of the highest value to your business and also the sinkholes where your capital drains away. Once you know the negatives, you can take active measures to rectify the problems that cause them. One thing that gym owner have to watch out for in payment processing is the hidden fees that take the income from your members and put it in the pockets of your vendors, while you’re stuck, doing all the work for free. Watch out for those hidden costs that add up. Insight integrates payment processing without taking your income. The ultimate purpose of tracking your revenue streams is to find out where the profits come from, and where they go. When you are turning over large volumes of revenue each month, it’s easy to lose sight of a few dollars here and there. The problem is that these add up quickly. If you use Insight to manage your gym business and membership accounts, you also have the integrated tools to manage your EPOS payments. Whether you’re using your EPOS monitor, desktop computer, or a mobile device such as a tablet to maximize your revenue streams, you’ll have complete control with Insight. As I’ve said in many other posts, it doesn’t take much change in your cash flow to make the difference between living a comfortable life and being stuck sleeping in your back office. When it’s down to one or two percent of your revenue, you can find that sort of cash flow by having a software system that integrates both your primary and alternative revenue streams. Fagan, Lawrence. 9 Alternative Revenue Streams To Boost Your Gym Business Returns. November 15, 2017. https://blog.gyminsight.com/4732-9-alternative-revenue-streams-to-boost-your-gym-business-returns/ (accessed February 14, 2018). —. Any Channel Where You Find Customers Is The Right One. February 8, 2017. https://blog.gyminsight.com/4261-any-channel-where-you-find-customers-is-the-right-one/ (accessed February 14, 2018). —. What The Top Fitness Clubs Say About The Gym Industry. May 22, 2017. https://blog.gyminsight.com/4429-what-the-top-fitness-clubs-say-about-the-gym-industry/ (accessed February 14, 2018). Goldman, Stuart. Health Clubs Count on Ancillary Revenue More Than You Think. February 1, 2012. http://www.clubindustry.com/profits/health-clubs-count-ancillary-revenue-more-you-think (accessed February 14, 2018). Great informative article! Being a locker developer and working with gym owners in the past. There’s a few ways to gain alternate revenue with gym lockers. As most lockers in gyms have coin locks, you can attach a coin box to the locks to retain the coins. You could also opt for selling tokens to users if the locks only accept the old pound coin that was phased out in 2017. If you have lockers that use padlocks then you can sell padlocks at your front desk. High end gyms with wireless locks have even more opportunities as charges for locker use can be adjusted digitally.